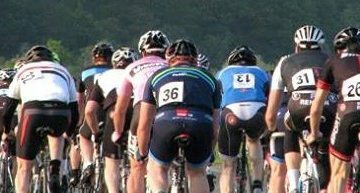 Saturday 29th May sees the start of the Surrey League May 3 Day Stage Race. 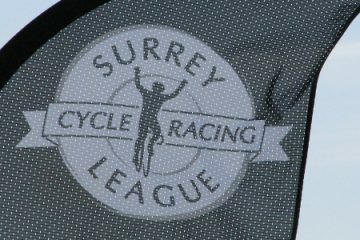 It is open to 2nd and 3rd cat riders and uses familiar courses known to most Surrey League members. Please note that race results and GC positions will appear here sometime during the day/evening of that stage. 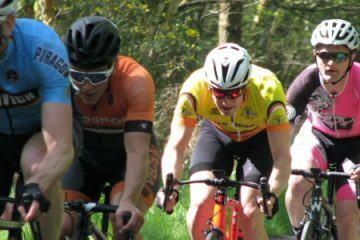 A break went away on lap 1, consisting of Andy Critchlow (Wyndymilla), Leon Stoneman (Army CRT) and Ian Payne (Dynamo). 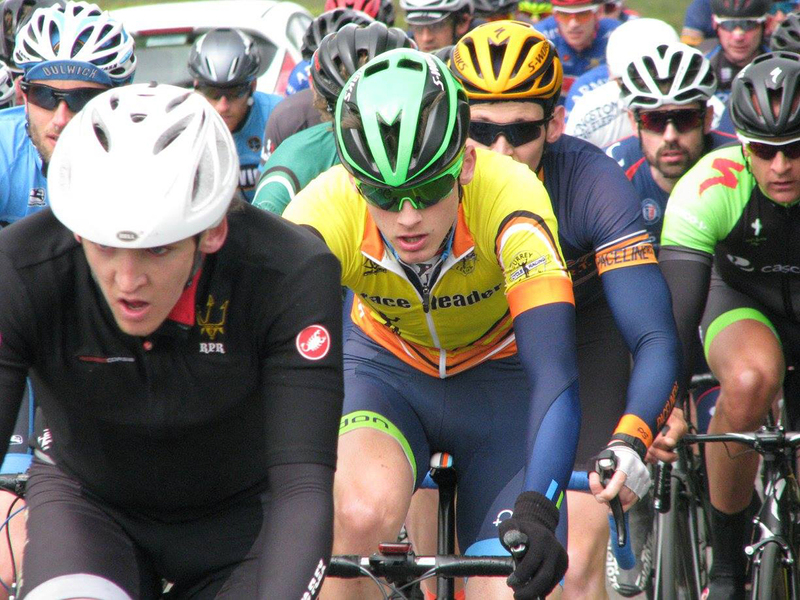 Some quality blocking in the bunch by the other Dynamo riders helped ensure the bunch gave them some breathing space. They managed to get up to just over a minute and stayed away till lap 7 when James Bradley and Oliver Richardson (Twickenham) with Wayne Beba (Adalta) bridged over. They stayed away till lap 8, when the bunch finally picked up some speed and swallowed them up. Despite a number of riders having a dig in the last 2 laps, it stayed together till the finish. 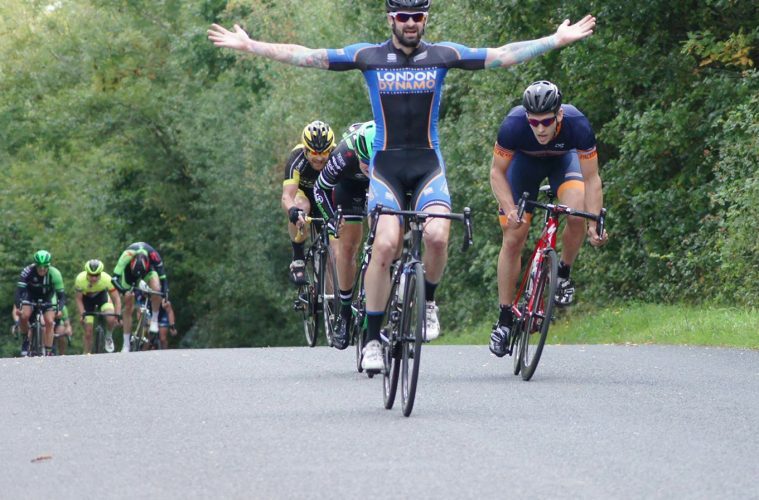 Philip Glowinski from VCL took a clear victory in the sprint from Rob Sharland (Paceline) and Ed Bishop (Meudon). There was a slight split in the field in the final few metres, so the top 12 all gained 4s over the bunch of 23. 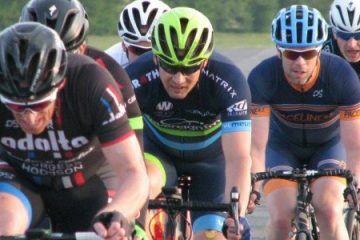 Yours truly was happily sat in the bunch till my second puncture of the day on the final S bends (first saved by my tubeless tyres) but a quick change from neutral service and I hoped back on to come last of the main field at 1:44 down – luckily saved by the 3k rule. Well, today was a much tougher circuit. Barcombe doesn’t have any killer climbs, but there are enough ramps to make everyone work hard. 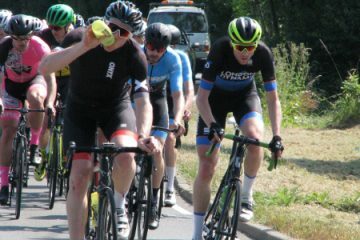 Despite the miles in the legs, a few brave souls still ventured off the front right from the off including Steven Cavey (Southdowns Bikes) and was joined by Pat Wright (Paceline) and Ray Wilson (Dynamo). They held out until lap 4, when the gap got down to 4 secs. At this point, the Com hauled us over to remind us about being more careful being on the right hand side – unfortunately there was a lot of traffic, and combined with a hungry pack, people were taking risks riding too far over. The pace for the first 6 laps had been brutal, and personally I was expecting to be dropped especially on the Mackerels Rocks section a couple of k after the finish. Lapping that circuit at over 41kmh was challenging. The pace did die down a little by lap 7 and a few riders started to launch attacks – including veteran superstar Mike Coyle. A break did go with 11 riders which had a rider from most of the teams, so with them clear, the bunch chilled out and the pace dropped back. 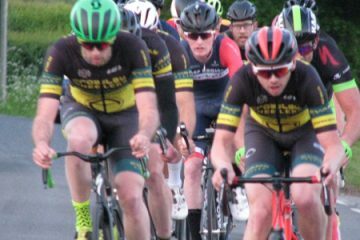 Andy Critchlow made a late move to bridge and stayed in no-mans land till the end – a brave move for the man who was in the break for all of yesterday, but he certainly has the form. 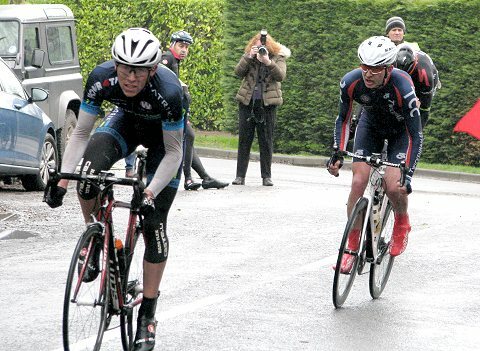 The final uphill section caused a final set of time gaps, with Oliver Richardson (Twickenham) taking it from Ed Bishop (Meudon) and Wayne Beba (Adalta). 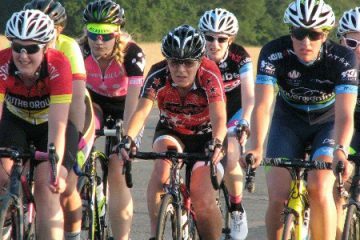 It was one of the hardest races I have ever done for the first 2 hours till the break went. Tomorrow, those that were in the break today will battle out for final honours, unless one of the bunch riders makes a spectacular break.